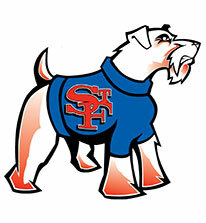 The terriers did it! They made it past the first round of the playoffs by defeating Our Lady of Mercy 4-3. Wish them luck on their second playoff game against St Dominick's. Thanks for a great 2017 Season!!!! Grace. His father was a supervisor with New York City Sanitation and his mother was a Lab Technician. and served as a Supply Officer from 1970 to 1973. This was during the Vietnam War. According to Bill himself he taught Science at Holy Cross and then taught Science here at St. Francis Prep from 1984 to 1987. After St. Francis Prep , he taught Physics at Stony Brook University and also work as a researcher ay Brookhaven Lab and Princeton University. It was the time he spent teaching at Prep that he began to get involved with tennis here at the school. According to Bill, in the late 1980’s, he and other teachers and parents played tennis in the gym. They would use portable tennis floors, placing them in the gym, playing whenever the gym was available. This connection got him his coaching position. Bill said he had been coaching the Tennis Varsity B team for 28 years, beginning in 1989. I have coached with Bill for nine years. Two months each year we got together, in August and finished in October. We coached a group of girls, a total of fifteen to twenty children at each time. One thing Bill and I did agree upon was that the girls play as a team. Together we emphasized that everyday. Proof of that is the bond the girls formed together from the past to the present. 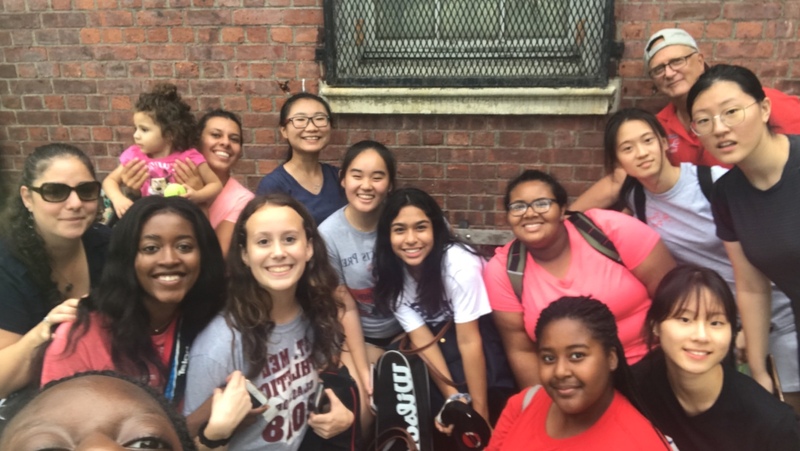 The coaches would like to congratulate all the players for a terrific 2015 tennis season. All the players worked very hard and competed at the highest level. This year the team came in second place with a 6-4 record. Both , Kellenberg and St. Anthonys where tied for first at 9-1. 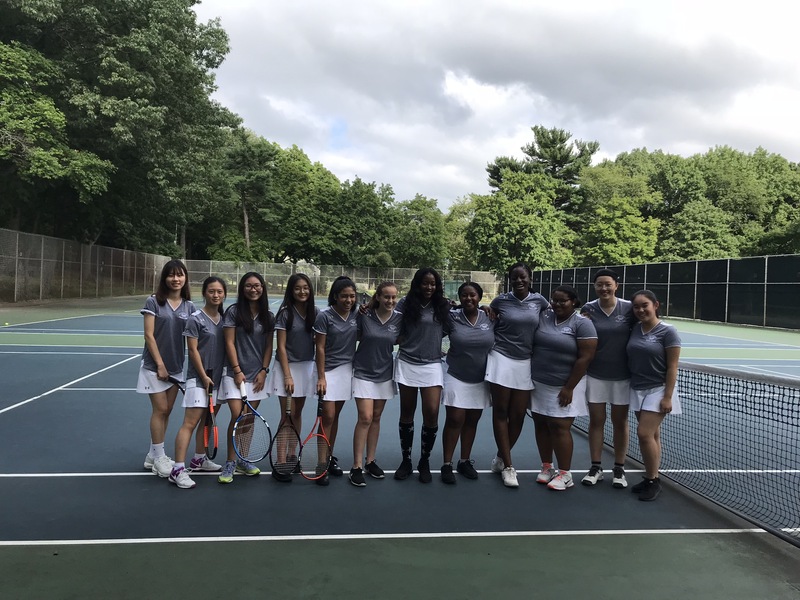 The team played Kellenberg in the semi-finals and lost 4-3, in a hotly contested match in which the last four determining matches went to tie breakers. What a Great Year!!!! 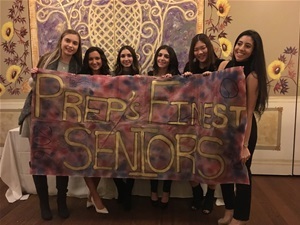 For the past four years, I have been an active member of the St. Francis Preparatory School Girls Varsity B Tennis team. 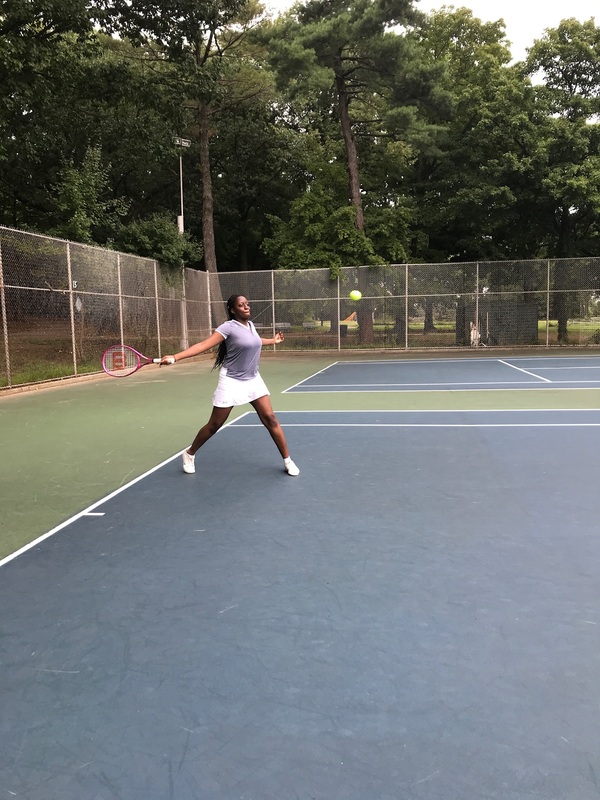 I became involved in tennis for a few reasons, one being that I wanted to do something fun while benefitting my health. Also, I have always been interested in this particular sport as it is not only competitive,but it is also very strategic. 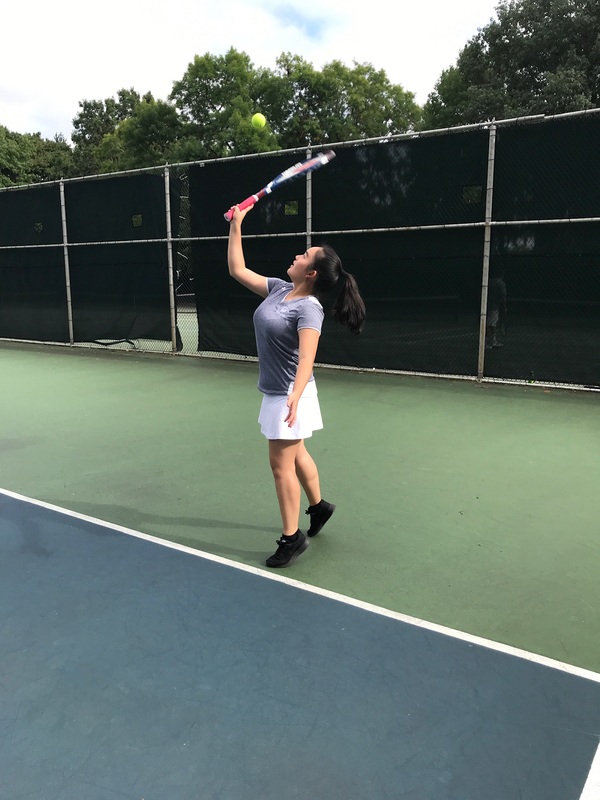 Angle shots, volleys, and a mixture of short and long shots must all be taken into consideration when playing in a match as there is more to a match than merely returning the ball over the net. I was not on the lineup during my freshman year on the team. 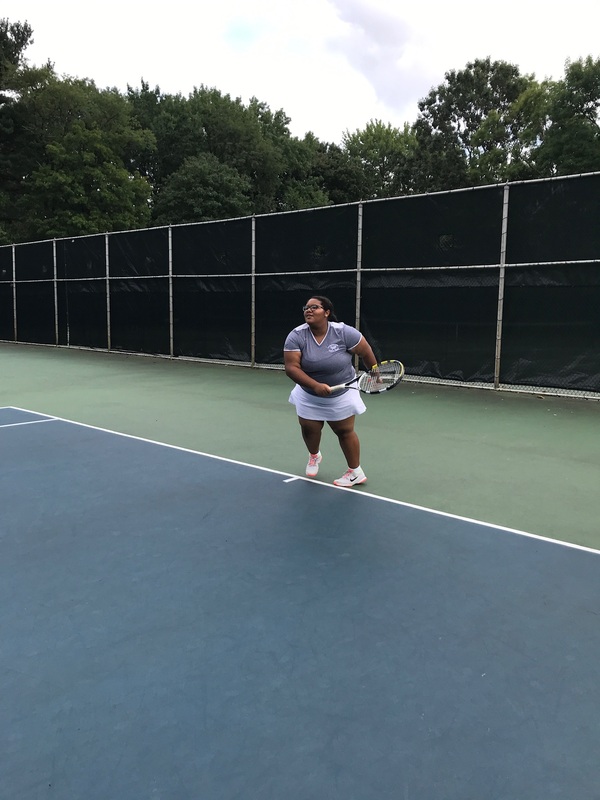 I spent practice working on my groundstrokes and serves in hopes of possibly getting the opportunity to compete, no matter what position. Although I did not get to start in freshman year, being a member of the team was all that mattered at that time. 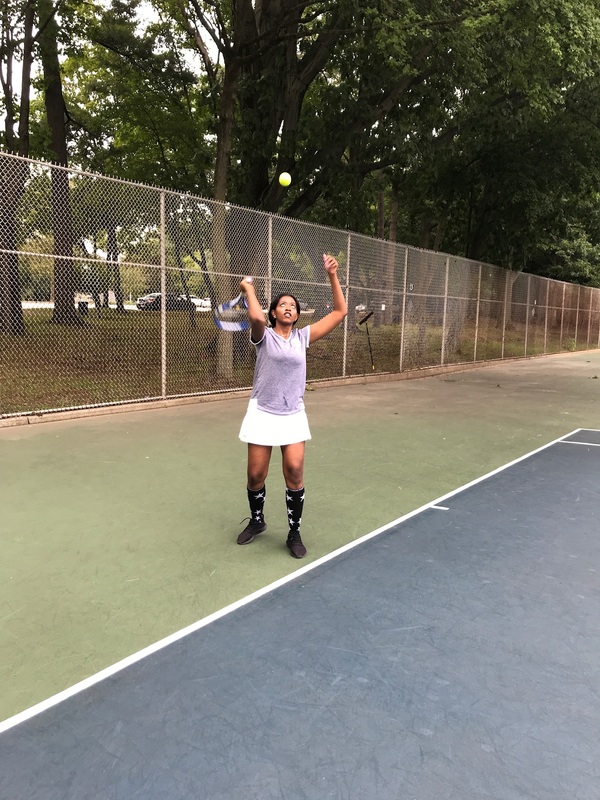 I was happy whether I was running around on the courts or simply cheering on my teammates. When my first year ended, I decided that although I enjoyed watching my teammates play, I wanted to get involved in the success as well. 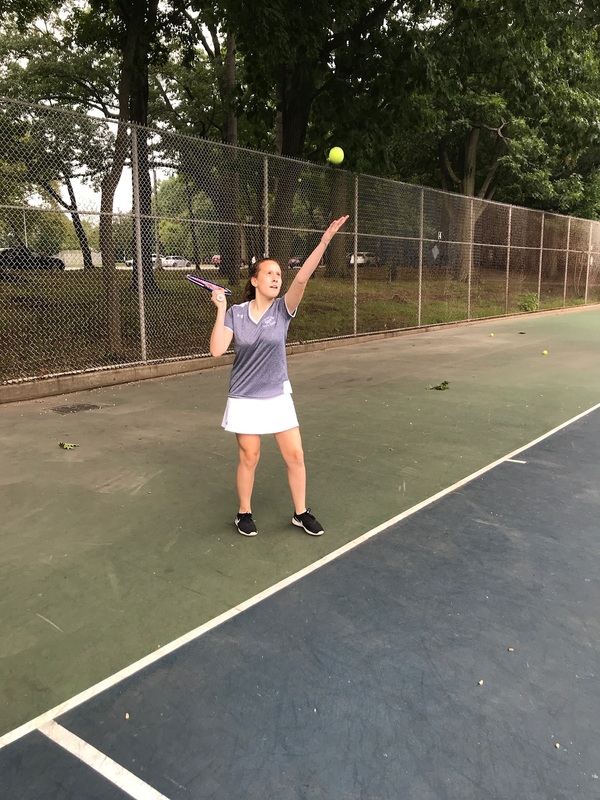 I took more tennis lessons, improved my technique, and prepared for the following season. I didn’t know what to expect from my coaches going into my second season. But, it seemed as if my practicing paid off because I was quickly offered a spot in the lineup. 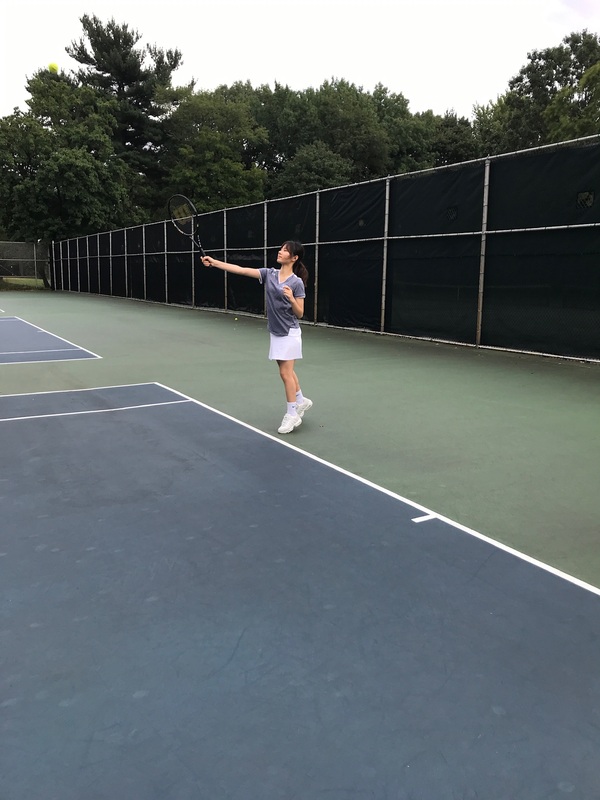 In my sophomore year, I played the difficult position of third singles. 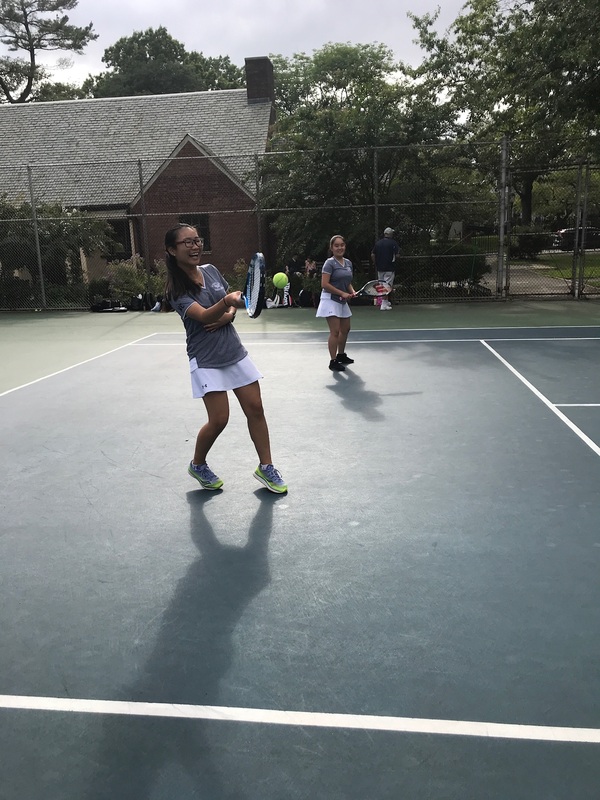 Moving into junior and senior year, I played first doubles with my partner, Ariana Winter '16. I was grateful for being placed in the lineup because now, instead of cheering my teammates on from the sidelines, I was able to support them while playing on the court next to them.